Breast cancer surgery involves the surgical removal of a tumor to prevent the spread of the cancer to other parts of the body. The surgical procedure to remove the tumor depends on the size and type of cancer. 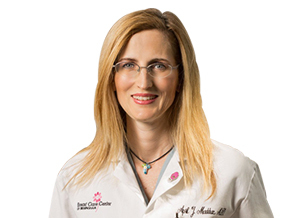 Your surgeon may excise the tumor as a lump (lumpectomy) along with a portion of healthy surrounding tissue (wide local excision) or remove the completely affected breast (mastectomy). 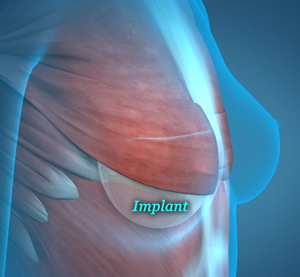 To restore the shape of breasts after mastectomy another surgical procedure called breast reconstruction is performed. Primary breast reconstruction involves reconstructing the breasts immediately (during the same operation) after excising a part or whole of the breast. This is beneficial for the patient since two major surgeries are combined into a one-time procedure. However, the combined operation is a longer operation and may also involve a longer hospital stay. Some patients are not suitable candidates for immediate breast reconstruction. These include older patients, who have other associated risks, or patients who are too sick to undergo along surgical procedure. The need of radiotherapy after the operation is not a good reason to avoid immediate breast reconstruction. In case the patient does not choose primary reconstruction, delayed breast reconstruction is recommended 6-9 months after the last session of radiation or chemotherapy. Delayed reconstruction can be performed at any time (even after many years) following removal of a part or the complete breast if further cancer treatments are not needed.